I've just checked for some recipes online on how to make flavored (in particular, hot and spicy) peanuts. It seems that in every one of these recipes, there has to be some kind of roasting procedure (coating with oil, powdering and then oven-roast), or cooking them, in order to get the powder to "stick" to the nuts. What I'm wondering is which two of these methods will yield better results, and whether a food dehydrator (I got the excalibur ones) can be used to "dry" these nuts. Perhaps it's possible to get the flavor to stick some other, easier and less messier way? edit -- another question : is the oil necessary for flavoring them? I mean, nuts are oily naturally, so would heating them in the pan and then putting the chili/garlic powder or parmesan straight after be good enough? 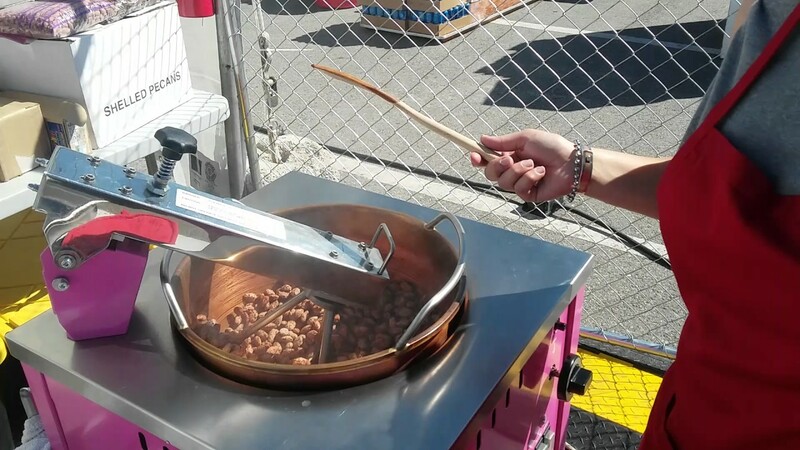 Nuts are much tastier when they are roasted. Dehydrating may be ok but it will not do the same thing for their flavor or texture. Nuts have a lot of oil but there is not enough on their exterior for powders to stick to. Of course some of the powder would stick anyway- and with parmesan even more would when the cheese melted. If you are ok with a milder flavor and a lot of powder left in the bowl when you eat them then you could try to use less or no oil. It is possible that you could make it work with some other liquid other than oil but oil tastes good and won't dry out. Additionally for spicy peanuts, capsaicin is soluble in fat so the oil will actually be intensified. I don't know about an easier/less messy way because I don't consider this to be particularly difficult or messy. Just toss nuts with oil, then powder, spread on a pan and bake. Doesn't get much simpler than that. Another alternative that has become popular is kettle roasted nuts. 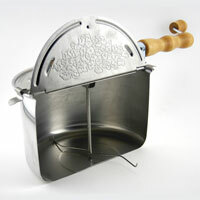 The nuts are cooked in a large kettle with an agitator to keep them from settling and burning. Usually they also candied. The process is much stickier and flavorings adhere much better. At home, oil popcorn poppers with agitators are available that can beautifully make kettle roasted nuts. Manual versions are sturdy and inexpensive. Put them in the microwave for about 30 seconds, they become oily, put in your spices and mix well, hey presto the seasoning sticks, let them cool! I typically like to just throw them in a wide shallow pan and heat them gently until they shimmer a bit from the oils being released naturally and then quickly toss them with whatever seasoning you prefer. Alternatively, you could also give them a quick mist with some cooking spray which would minimize the amount of oil needed and allow the seasonings to adhere. I would suggest this method if you are using pre-roasted nuts so that you don't risk turning them bitter by heating them too much. 2 whisked egg whites to 4 cups of nuts is specified in a recipe here . It says they do not need refrigeration after baking in oven for 15-20 minutes. If you don't like egg white, maybe try ground chia seeds mixed with water as a substitute. Not the answer you're looking for? Browse other questions tagged flavor spices peanuts or ask your own question.